Grattoni-grattini are tiny balls or pieces of pasta commonly added to soups, especially clear broths. 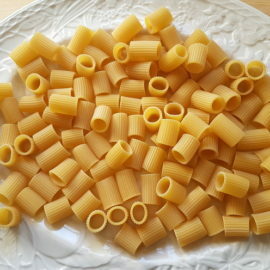 This is one of about 30 different very small pasta shapes known as pastine or pastina. Pastina is a diminutive of pasta! Italians love pasta in broths and what they refer to as minestra and minestrone (2 different soups). And Italian kids grow up on these soups or broths with pastine. 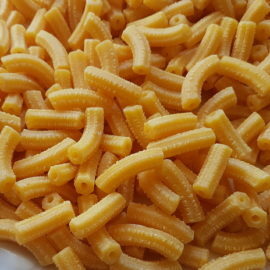 In fact, many of the modern pastina shapes, like little stars and alphabet pasta are produced with kids in mind! 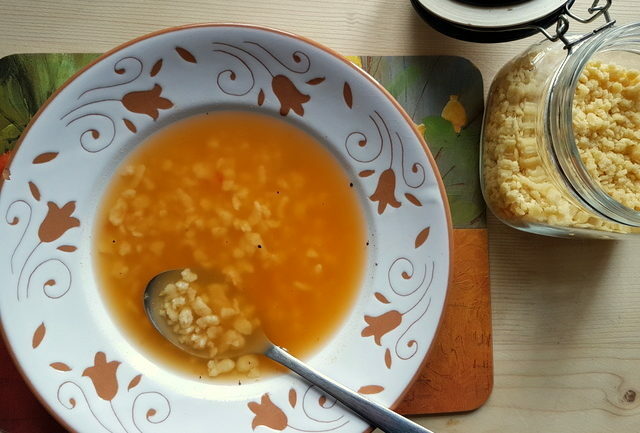 In Italy, there is a difference between the kinds of what many just call soup. 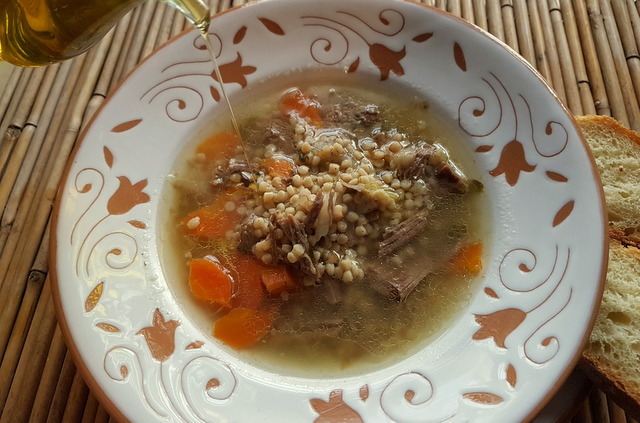 Broth (brodo) is similar to stock and, in fact, Italians use the same name for both. Once cooked and filtered the ‘brodo’ is either served as a soup with pasta in it or used as a base for other recipes and soups. ‘Brodo’ can be made with meat, chicken, fish or just vegetables. 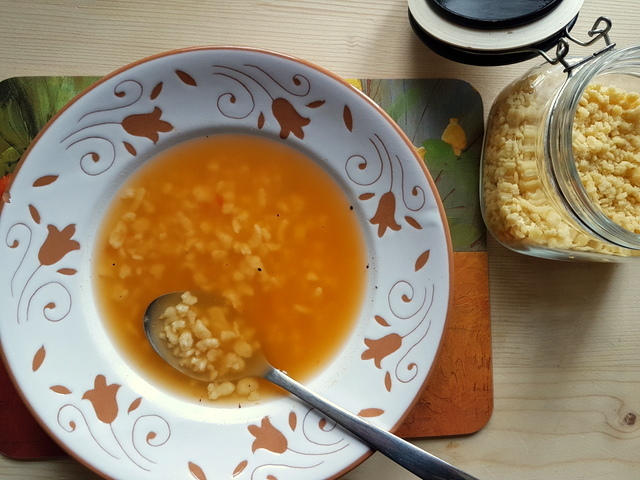 When serving ‘brodo’ with pasta as a soup, some people put pieces of meat or vegetables back into the broth after filtering it. Minestra is a thick vegetable soup to which pasta or rice is often added and sometimes meat. Recipes vary throughout Italy as traditionally this soup is made with stock and seasonal local vegetables. Originally what was left after cooking other dishes! Minestrone is a type of minestra which was born after foods such as tomatoes were first brought to Italy from South America. It is usually made with green, red and yellow vegetables and also contains pasta. What Italians call ‘zuppa’ normally doesn’t include pasta and is thicker than broth, minestra or minestrone. It’s traditionally served with bread or croutons. The word grattoni or grattini comes from the Italian ‘grattugiare’ meaning to grate or reduce into small pieces. A grater is called a ‘grattugia’. Grattoni is the larger version and grattini is smaller. 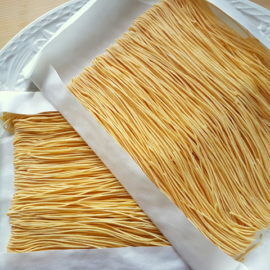 This pasta can be made in different ways and it can also be bought dried. In Northern Italy, it’s traditionally made with a little Parmesan and egg and even the dried version often contains egg. 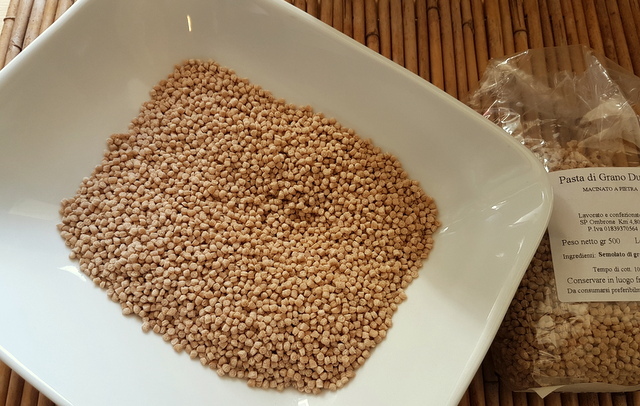 In other regions, it’s made without egg and you can also buy grattoni that has been made from whole wheat flour. 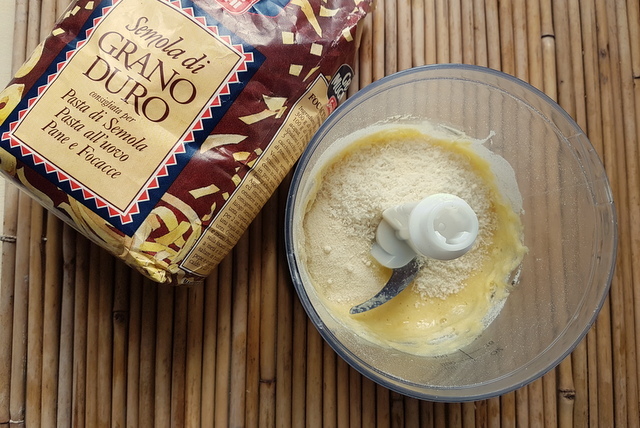 Homemade grattoni-grattini originated as a way to use up leftover pasta dough after making other types of pasta, such as tagliatelle. The leftover dough is either cut into tiny pieces using a knife (like chopping onions) or using a grater with quite large holes. Nowadays, many people make this soup pasta using a food processor, which is what I did. This is a very fast method, and certainly worth trying if you aren’t actually making other pasta too. I also bought some dried whole wheat grattoni recently. 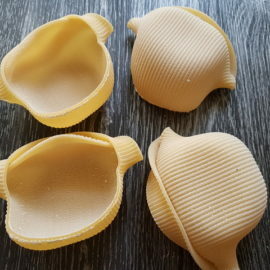 Dried grattoni is more uniform in shape and size than the homemade version, which is true of most pasta shapes! I served my homemade grattoni in a clear vegetable broth and the dried version in a beef broth. Both were excellent! The vegetable broth with homemade grattoni is faster to make and I think it’s a great option for a quick and easy meal, especially good if you have a sick child in the house. The beef broth had a more intense flavour as it cooked for 3 hours! However, any kind of broth or soup can be enhanced with a dash of olive oil and some grated parmesan. That’s what the Italians do and it’s really good! 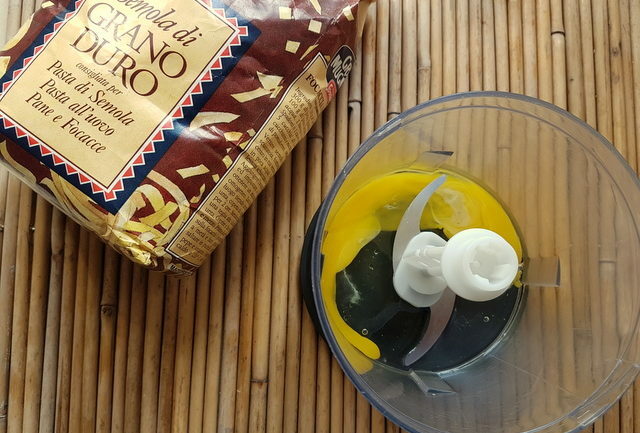 Want to make your own grattoni-grattini pasta for soup? Have a look at the recipe below. Break the egg into the processor. Add the semolina (keeping 20/30 grams aside), the Parmesan and a pinch of salt. 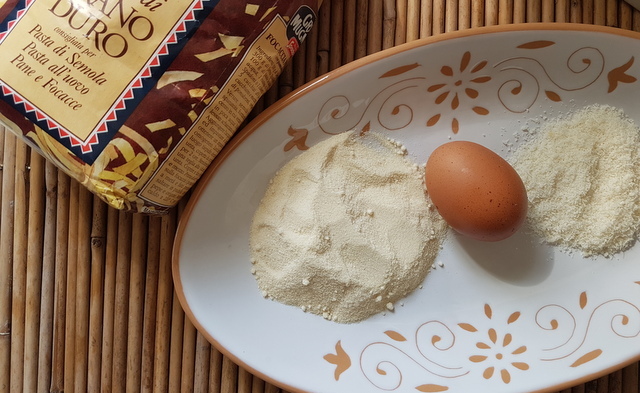 It’s better to start with less semolina flour because the amount of semolina absorbed depends on the size of the egg (small, medium, large). Pulse a few times. If the semolina is still very sticky add a little more and run the mixer again ... it should begin to form coarse pieces. Pulse again adding more flour if necessary but keeping in mind that the more flour you add, the smaller the pieces will be. 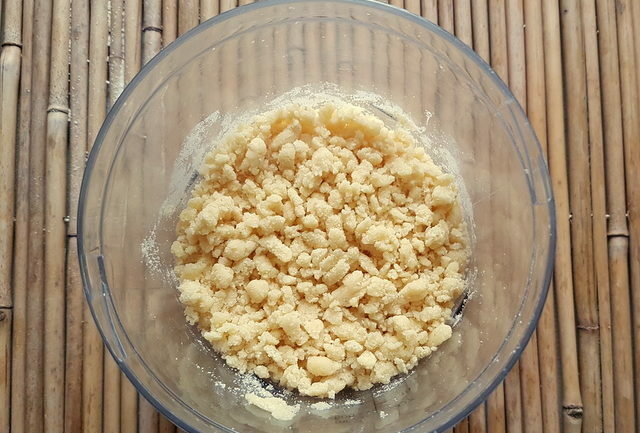 Once the grattino is the size you want put it and no longer sticky spread it out onto a cloth or in a dish to dry before cooking (at least 1 hour). The grattino will cook in just a few minutes. If you are cooking it in broth once the pieces rise to the surface, they are ready! This pasta can be used in broths and minestrone type soups.